Prof. Abid Hussain, a senior member of The News editorial team; died of a heart and lung ailment in Rawalpindi. Veteran journalist Afzal Khan, 80, who worked for the Associated Press of Pakistan (APP) for more than 35 years; passed away in Virginia, US. Eminent journalist Nargis Khanum; died of a heart attack in Karachi. During her career, she worked for Dawn and The Star. Masood Ahmed Barkati, 87, editor of the widely popular children's magazine Hamdard Naunehal for nearly 65 years; in Karachi, after a long illness. Veteran journalist Habibur Rahman, 77 died of a kidney ailment, in Peshawar. During his career, he worked for Naqoosh, Taajir, Tameer, Anjam, Mashriq, Maidan and Aaj dailies. Ghulam Mohiuddin, editor of Daily Dunya and former president Faisalabad Press Club; died of a kidney ailment. Journalist Haroon Khan, shot dead by unidentified gunmen outside his home in Swabi. Senior journalist Wali Rizvi, found dead in his apartment in Karachi. He reportedly died of cardiac arrest. Anwar Khalil, 79, former executive editor of The Muslim and ex-editor of Daily Hurriyat of liver cancer in Chicago, United States. Senior journalist Aileen Qaiser, 60, of injuries sustained in an explosion at home caused by gas leakage. She worked for Dawn, The Muslim and The News. Younas Awan, district reporter Dunya News, of cardiac arrest while covering Pakistan Tehreek-i-Insaaf rally in Chakwal. Syed Mehdi Shah, editor of Daily K-2, following a long illness. Roshan Ali Bhutto, a journalist with Din Television in Larkana, of electric shock. Senior journalist Zahid Mirani, a correspondent of Jang newspaper, of cardiac arrest in Sobho Dero, interior Sindh. 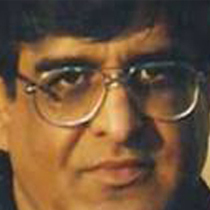 Senior journalist Muhammad Asghar Shad, 60, a bureau chief with Nawa-i-Waqt; died of a liver tumor in Rawalpindi. Sharif Farooq, a senior journalist and Pakistan movement activist, passed away after a protracted illness in Peshawar. He was the chief editor of Daily Jihad and Daily Ittehad at one time. Zeba Burney, wife of late journalist Naeem Qamar, found dead in her flat in Khudadad Colony. She was in journalism for 30 years and had retired from Nawa-i-Waqt newspaper. Bakshish Elahi, Bureau Chief of K-2 Times in Haripur, shot dead by unidentified gunmen. Abdul Razzaque, a Chunian correspondent for ARY News Television, killed in an attempted robbery in Pattoki, Kasur. Anwar Mooraj, 86, an eminent journalist, and writer. He at one time was associated with Dawn and Gulf News. Saleem Sethi, anchor and an analyst with Khyber News, following a short illness. He began his career with the Frontier Post and later remained associated with The Muslim. Zeeshan Niazi, a journalist associated with Chinese Xinhua news agency; of pollen allergy in Islamabad. He also had stints with The Express Tribune, Geo, and APP. Masoom Usmani, Senior journalist, who during his career worked for Pakistan Television (PTV), Geo, Roshni TV, Aaj News, and Apna, of a heart attack in Karachi. Muhammad Javed, 52, a photojournalist with The Express Tribune in Islamabad, of bone cancer. Tauqeer Ghumman, 43, senior reporter with DawnNews Television in Lahore, of cardiac arrest. Saleem Usmani, 52, City Editor of The News, of a heart attack in Rawalpindi. During his career he also worked for The Muslim, and Pakistan Observer. Taimoor Abbas, 22, of Samaa TV, killed in a Taliban attack on the channel's news-gathering van, in Karachi. Syed Shahid Hashmi, veteran journalist, broadcaster, unionist and poet; of pneumonia in a London hospital. Muhammad Jan Sumalani, of Daily Qudrat and Brahvi language Daily Talaar, gunned down by unidentified assailants in Kalat, Balochistan. Rukhsana Noor, 58, a journalist, poetess, film writer and producer following a prolonged illness, in Lahore. She was wife of film director, producer and script writer Syed Noor. Rauf Sheikh, 59, Editor Coordination, The News, of respiratory complications, in Lahore. During his career he also worked with Pakistan Times and The Nation.